Getting high-beamed in the eyeballs isn't just annoying, it's unsafe. As a result, most drivers only use them when it's pitch black outside and no one else is around. The rest of them drive around oblivious that they're even on, otherwise they just don't care that they're blinding everyone around them. But high beams are actually smart to use and provide an added level of safety and visibility that most drivers don't exploit when they should. All that is supposed to change now that the National Highway Transportation Safety Administration (NHTSA) is considering changing the laws that regulate headlights. This, after significant pushes by car manufacturers, spearheaded by none other than Toyota. Supposedly, this change would allow automakers to install and enable what's known as Adaptive Driving Beam Headlights on new cars sold in America. Let's first explain what they are. 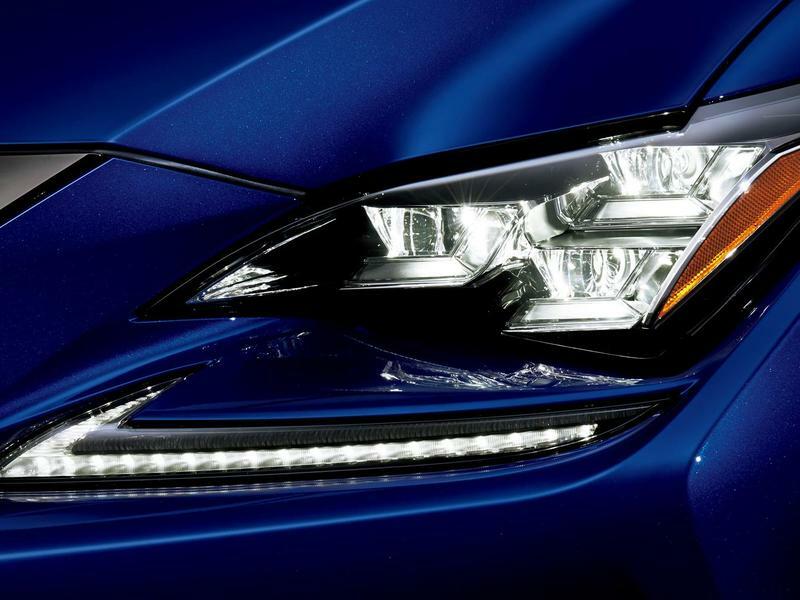 What are Adaptive Driving Beam Headlights? This rendering by Audi shows Adaptive Driving Beam Headlights at work. Adaptive Driving Beam (ADB) is a brilliant headlamp system that essentially allows drivers to operate high-beams all the time while, at the same time, preventing dangerous glare for both oncoming drivers and drivers in front. But they're far more than just adaptive high beams that revert to low beams when other cars are present. This means there is no high-beam setting in the vehicle since high beams are on 100% of the time. 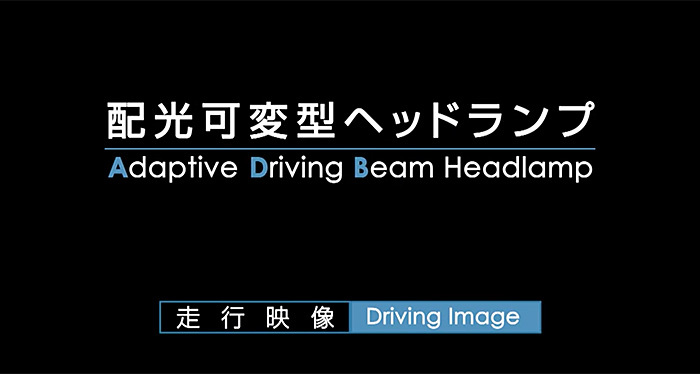 The video above from Koito Manufacturing shows how the Adaptive Driving Beam system works. It's ingenious when you understand how truly intelligent the system is. The ADB-connected camera recognizes vehicles driving ahead, working together with various sensors and achieves fully automatic and total light control. Multi-beam LED lights enable the system to shut down or dim various lighting elements to maximize visibility while minimizing glare. Light essentially gets redirected away from driver and pedestrian vision while improving illumination in areas where no one is present. No longer will the driver have to decide when to use high beams. In fact, the system vastly improves safety for everyone by allowing the driver to have maximum road vision at all times. The IIHS notes that drivers seriously underutilize their high beams by as much as 80 percent. When Will We See It on Vehicles Here? Audi has been spending a lot of time and money developing their ADB technology. The NHTSA has been evaluating Adaptive High Beam headlights for a while now, but the ruling hasn't been made for their legal use here in America. The technology has been used in other markets outside the U.S., but the NHTSA has had its hands tied by a dated 1967 Federal Motor Vehicle Safety Standard No. 108 that regulates not only how headlights emit light but also where they must be physically located on a vehicle. The NHTSA has amended the standard before and would have to do so again to make way for ADBs. Since then, the NHTSA commissioned studies on ADB tech to test their effectiveness in everyday driving conditions, and they've also requested vital input from carmakers. If all goes well, manufacturers will make use of existing cameras and sensors already used for adaptive low beam and high beam headlights. The tech is there, but the law has to allow for it to be used for ADBs. Because the technology requires expensive LED headlights with numerous elements that can be dimmed or shut down for ADB usage, it's likely that only more expensive cars will get the technology first. It's not out of the question that this level of safety will one day be required for all automobiles, but that may be a while. Get great articles directly to your inbox.